As an industry leader, global anilox roll supplier Harper Corporation of America is constantly innovating the products and processes within the flexographic field. As the rest of the world embraces the digital revolution, so, too, has Harper Corporation. Now Esko certified in HD Flexo, Harper Corporation of America is continuing with its mission of providing the highest quality service and products to its clients. HD Flexo is the latest prepress revolution in flexography. This digital process creates flexographic plates, which are more consistent than standard digital plates. Additionally, HD plates result in higher quality, clarity, and vibrancy. In addition to being on the cutting edge of technology, HD Flexo is an environmentally-friendly and efficient solution for flexographic organizations looking to improve their operations. This process can be integrated into print room procedures without having to replace existing equipment or operational policies. As a result, the transition to HD Flexo is smooth for both flexographic professionals and their clients. Harper Corporation of America received Esko certification in HD Flexo in January of 2012. This certification is used with XLT 60° high end anilox rolls. The engravings range from 900cpi to 1600cpi and are perfect for both Narrow and Wide Web markets. By combining Harper Corporation of America’s precise anilox roll engravings and Esko’s prepress technology, Harper’s customers are able to produce superior ink release, consistent printability, and exceptional print quality. To control the colour consistency throughout the printing process, it is common practice to remove sample material from the running web and to measure it offline with a hand spectral photometer. This process always means a disruption of production. eltromat GmbH presented its world premiere “inco_check” at the drupa. This new spectral colour measurement system integrates the measurement process into the printing press. Thus, the company from Leopoldshoehe (Germany) sets a new standard in colour control. What is unique is that “inco_check” can be tuned to any existing hand spectral photometer. This enables the printer to compare the real time spectral measurement results from the press directly with the offline measuring values, regardless of the hand spectral photometer type. According to the manufacturer eltromat, who looks back on more than 10 years of experience in developing solutions for colour measurement and control, "inco_check" is particularly interesting for packaging and label printing, because it even measures special colours accurately and reliably. During production the system operates at printing speeds of up to 600 m/min and regularly and accurately provides spectral measuring results at up to 12 measuring points. The measuring points can be set easily by finger-tipping in the print control strip or anywhere in the printing format. Thus, the colour consistancy can be monitored at any time and at important points during the production process. During the measurement the exact colour values (as L*a*b*C*H*), the colour variations (as dEab, dEcmc or dE2000), the history and the trend of the measurement results are displayed. All measurement results can be exported using the universal format CxF (Color exchange Format) and thus are made available for further processing. If tolerance violations occur, they are recorded in a roll protocol which can serve as quality documentation. EFI, a world leader in customer-focused printing and packaging industry innovation, today announced that label and packaging provider Whitlam Label has selected EFI Radius as its new MIS/ERP software. In business for 55 years, Whitlam Label produces pressure-sensitive labels primarily for the automotive and durable label markets. The company has experienced steady growth over the years, and their old EFI PSI system was no longer meeting their business management needs. “After taking a close look at EFI Radius, we selected the system because of its specific focus on labels and packaging, the stability of EFI as a service provider, and the scalable nature of the platform that will allow it to grow with us as our business grows,” said Alex Elezaj, chief operating officer at Whitlam Label. Their plant in Detroit will run the Radius software, which is expected to be fully implemented by early fall. EFI Radius is a powerful ERP software platform designed to enable end-to-end, automated business process management from order inquiry to cash receipt for label, flexible packaging, converting and folding carton businesses. EFI Radius offers a high degree of flexibility to manage the unique requirements of printing and packaging companies to help optimize and automate sales estimating; production planning, scheduling; materials management; shop floor data collection; job costing; time and attendance. 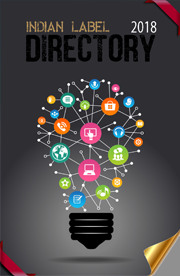 It also offers comprehensive and intuitive reporting and business intelligence capabilities. This drupa not only had pioneering technologies displayed but also had some warm felicitation ceremonies at some stands. In a simple and warm ceremony at the Esko stand in Hall 8B at drupa, Carsten Knudsen, CEO Esko presented Sanjeev Sondhi of Zircon Technologies India with the HD Flexo certification. Zircon Technologies - a self-adhesive labels print specialist, is the first printing company in India to be HD Flexo certified. The certification was awarded for Zircon’s introduction of HD Flexo into the daily production environment and the success it achieved at the company’s plant in Dehradoon. 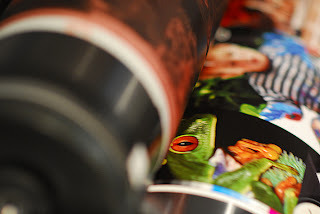 The HD Flexo certification program is a rigorous process that requires that different print samples from five different commercial jobs be printed consistently. The samples were printed on their most trusted Mark Andy press and achieved the higher quality required for the compliance with specific standards. Not only that they got the consistency but delivered the right print every time ensuring a new horizon in flexo quality. Esko is enjoying ‘exponential’ growth in the number of HD Flexo Certified customers, partners and vendors as industry leaders increasingly recognize the impact this innovative process can have on the success of their businesses. The process requires a great deal of commitment from both suppliers and Esko, resulting in some very rewarding long-term relationships. It also enables all parties to benefit from offering this leading-edge print solution. Once certified, renewals at regular intervals are encouraged to ensure that print quality is maintained and in line with market developments. Vendors also need to certify each product individually, but once the initial certification has been obtained, subsequent applications are faster and easier. Zircon an organised label and packaging printer and converter, has achieved high growth and high technical excellence in the five years since it began. Its state of the art label printing and converting plants is continuously acquiring high technology prepress and printing equipment and software. Zircon’s adaptation to Esko packaging prepress software and digital imaging hardware and technology coupled with the high end Mark Andy presses has set Zircon apart from many of the leading label printers in the country and makes it a pioneer in HD Flexo Certification. Gidue provided the perfect complementary experience to drupa by staging at an Open House dedicated to the event. The company’s Florence factory has been busy for 15 days, accommodating converters who extended their trip to drupa in Dusseldorf and visited Gidue’s manufacturing plant in Italy. The Open House proved very popular, with Gidue securing a number of sales at the event, building on its strong sales growth during 2012. Visitors to Gidue’s manufacturing plant were given access to mechanical, electrical and software departments, affording them a hands-on experience of GIDUE’s lean manufacturing in action. Each visitor was offered a demonstration of the full GIDUE product range - the new MX entry-level press for labels; the flexible M1 Plus for labels and packaging; the advanced M3 for multiple substrates; the ‘futuristic’ M5 Digital Flexo; and the latest M5 630 mid web UV flexo press for food packaging, including the SL in-line solventless laminator, which was being showcased to the market for the first time. During the Open House, customers could also ‘live’ test the innovative performance of the M5 Digital Flexo line, which enables fully automatic ‘digital’ print pressure and register set-up, and less than 20m waste. Several demonstrations were run with converters own plates, so they could verify the consistent ‘digital’ performance on the new M5 press line. Tests were run without prior preparation – again so visitors could verify the automated operations of the M5 Digital Flexo technology and the reduction in waste it delivers. Different substrates were converted during the ‘live’ tests to produce labels, shrink sleeves, wrap-around labels, flexible packaging, laminated tubes, pharma alufoil (on the new three-color M5-P for alufoil), and yoghurt lids. The Open House proved very successful. A number of sales were concluded at the event, with machines to be delivered in 2012 to customers operating in the labels and packaging industries. Ultimate Packaging, Grimsby / UK, is buying the Bobst F&K 20SIX drupa machine to produce flexible packaging. The company's decision to make the investment was influenced by the high productivity, flexibility and cost-efficiency of the innovative machine, as well as the outstanding print quality and significantly reduced waste. Ultimate Packaging has already installed three 8-colour flexo presses from Bobst. The company's experience with the dependability of the technology and the service were additional factors that encouraged the management of Ultimate Packaging to expand the long-standing cooperation with its partner Bobst. The F&K 20SIX – which is celebrating its world première at drupa 2012 – is scheduled for installation in June 2012. "With its performance and innovative features, the F&K 20SIX is the ideal answer to the demands encountered in the production of flexible packaging, e.g. for fresh and chilled foods. It will help us to further expand our leading position in this market in the UK," says Ultimate Packaging's Managing Director Nigel Tonge, explaining the decision to make the investment. In addition to offering a high production capacity of up to 600 m/min with web widths of up to 1,300 mm, the F&K 20SIX also has significantly lower makeready times. The print jobs for the innovative central-impression (CI) flexo press with smartGPS and smartCOL can be prepared off the press. While smartGPS sees to offline registration and printing pres-sure setting, smartCOL likewise operates offline to check the colour before going onto the press, adjusting it and setting the required colour tone. "With the F&K 20SIX, we can re-duce the makeready times from the previous two hours to about 20 minutes in the future. All in all, the F&K 20SIX offers a substantial increase in productivity," commented Chris Tonge, Sales and Marketing Director at Ultimate Packaging. And because the press no longer has to print in order to set up the individual print jobs, there is a minimum amount of waste. In addition to which, neither ink nor energy is wasted. Moreover, no extensive machine capacity has to be blocked for makeready. "All that decisively reduces our pro-duction costs, another important argument in favour of the machine," says Nigel Tonge. The F&K 20SIX is based on the FP 16 Series, but features a host of innovative components that were developed in close collaboration with Bobst customers. These innovations permit not only the high printing quality, but also the particular user-friendliness and flexibility of the machine. All the modules of the F&K 20SIX are characterised by extraordinary stability. The excellent register accuracy achieved thanks to the high-quality servo drives makes an important contribution to the particularly high printing quality. Says Chris Tonge: "In our eyes, the F&K 20SIX delivers the best print quality of all comparable CI flexo presses." The decision to buy was preceded by tests at Bobst Bielefeld. "Using identical production data, we aim to obtain exactly the same colour values on both our digital printing press and the F&K 20SIX," reports Nigel Tonge, adding a further criterion in favour of installing the machine. Ultimate Packaging has past experience of the reliability of the machines from Bielefeld, and the company additionally welcomes the creation of the new Bobst Services department, which increases the availability of Bobst machines around the globe by providing innovative solutions, e.g. for remote maintenance. In addition, the re-organised, global Spare Parts Logistics department is targeting a processing time of less than a day and 95% availability for all spare parts. "Ultimate Packaging traditionally imposes especially high demands on its production systems. 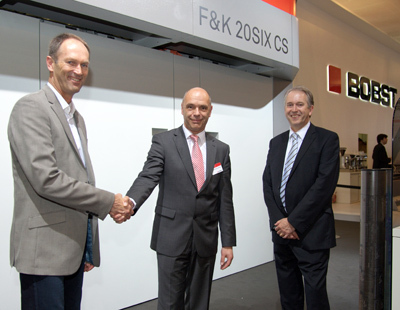 Against that backdrop, we're all the more pleased that this particular company, the leader in the UK, has decided to buy the first F&K 20SIX in the world," stated Andreas Kückelmann, Managing Director of Bobst Bielefeld GmbH, on the occasion of signing the contract on the Bobst exhibition stand in Hall 10 at this year's drupa on 10 May. Ultimate Packaging is based in Grimsby, North-East Lincolnshire, UK, and is the country's leading independent manufacturer of flexible packaging. 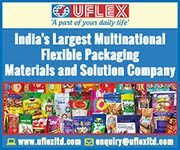 The company was established in 1982, currently employs about 240 people and supplies roughly 90% of its products to the food industry. The family-run business offers leading British manufacturers of branded goods a complete range of products and services relating to the production of flexible packaging from a single source, from concept design to print. Among the company's best-known customers are Aunt Bessie's, Florette and Young's Seafood. Ultimate are approved to supply all of the UK supermarkets. The world headquarters and manufacturing operation of Mark Andy, Inc. was the final destination for leading printing companies as part of the 2012 Printing Industries of America Continuous Improvement Conference held earlier this month in St. Louis, Missouri. A plant tour of Mark Andy concluded the three-day event, providing printing managers and executives a first-hand look at how Lean initiatives and continuous improvement has successfully impacted the company. Over the past 18 months, Mark Andy has implemented a focused Lean program, initiating completely new ideas and processes to drive efficiencies and improve quality in their manufacturing workflows. Plant tour visitors were exposed to workflow organization tactics, key visual management tools and work cell procedure approaches. Another important part of the discussion included learning curves and other aspects of the culture change needed to accomplish a successful Lean transformation. Mark Andy began the ‘continuous improvement’ approach four years ago, starting with their product R&D and design process, to directly impact their customers’ work flows and bottom lines. The Mark Andy Performance Series, winner of two international innovation awards in 2011, is a proven machine platform that specifically supports continuous improvement in a printing operation’s workflow. Rotoflex is launching new inspection/rewinding platforms that achieve direct improvement to the finishing workflows this year. 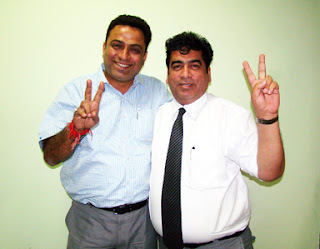 Meanwhile, Mark Andy’s Indian arm - Flexo Image Graphics is all set to replicate the same here in India, Mumbai at one of the leading label printers facility in August. So, save your date in August, for the Open House featuring Innovation Award Winning Mark Andy P5 performance series and catch the same in action. Building on the unique print station design common to all Performance Series presses, the P5 is focused on productivity. Simple, repeatable settings and limited operator steps for job setup make the P5 one of the most operator-friendly presses on the market. With the fastest makeready times in the industry (4-color changeovers are complete in just 3 minutes!) and extremely efficient waste savings, the P5 is perfect for the everyday converter looking to achieve servo-driven productivity and high quality levels, at an extremely appealing value. Xeikon announces that Ghesquières, a French-based print service provider specializing in the printing and finishing of envelopes, has installed a ThermoFlexX 20, one of the products from Xeikon’s new ThermoFlexX series of high quality digital imagers for flexographic and letterpress plate making. As well as delivering productivity gains by eliminating the need for film and labor, the ThermoFlexX solution offers Ghesquières significant improvements in print quality, faster turnaround time and increased capacity. Ghesquières is a part of the Spanish based TOMPLA group. Ghesquières has a mixed production system of offset and flexo presses, and printing is carried out on rolls and processed afterwards, a unique process in the world of printing. Prior to installing the ThermoFlexX imager, the company used Dolev and film. “No film and related developer chemicals means immediate savings in material costs,” says Madame Allart pre-press manager at Ghesquières. “And eliminating the labour-intensive process steps of film mounting and retouching – and automating the whole platemaking process – reduces the amount of labor required. Another key feature of ThermoFlexX is that it’s a much more eco-friendly solution than we had before. With film and chemistry now removed, we even get state subsidies,” adds Mme. Allart. Unveiled at drupa 2012, ThermoFlexX is Xeikon’s new product line of imagers for flexographic and letterpress printing plates. Comprising leading-edge hardware and workflow software, ThermoFlexX is based on mature technology and proven digital workflow solutions. It enables customers to consistently produce high-quality digital flexographic and letterpress plates at resolutions of 2540 or 5080 dpi. With this resolution, the product is technology-ready to raise the quality level of output to the newest industry standards. The ThermoFlexX solution comes with a range of unique benefits. Advanced clamping design allows plates to be mounted directly on to the drum, while uniquely designed vacuum sliders offer the flexibility to use plates of any width. This is highly beneficial to operators as there is no need to cut the plates to fit a dedicated vacuum zone thus allowing the use of cut-off scraps. The ThermoFlexX solution also features ergonomic plate mounting and its hybrid drum offers flexibility of holding plates in place either by vacuum or by magnetics. 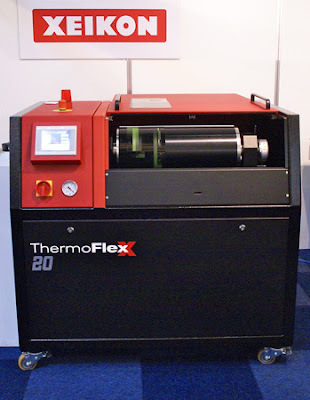 Visitors to the Xeikon booth at drupa 2012 will have the opportunity to see the new ThermoFlexX solution first hand. Xeikon is currently exhibiting in Hall 8A, Booth B44. Xeikon NV is an innovator in digital printing technology. The company designs, develops and delivers web-fed digital color presses for labels and packaging applications and for other industries as well. For the flexographic market, Xeikon offers digital platemaking systems under the ThermoFlexX brand name. ThermoFlexX systems provide high resolution plate exposure including screening, color management, as well as workflow management. Xeikon’s worldwide service network will provide local support for the full range of ThermoFlexX products. Sales of the product will be conducted via Xeikon’s authorized dealer network. Toray Industries Inc. is to meet higher global demand for its pioneering waterless plates with a new printing plate factory in the Czech Republic. 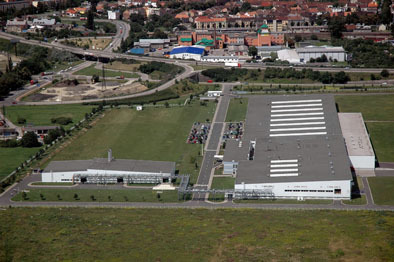 The Japanese specialist expects the facility to be operational in early 2014. Encompassing both coating and converting capabilities, the new Czech production facility will meet the needs of printers across Europe, the Middle East and North America. “The project to establish European manufacturing capacity for waterless plates is proceeding on schedule and the engineering phase is now substantially completed. Site preparation in Prostejov is in the final stages and the erection of the building that will house the new production line for Toray waterless CTP plates will begin this summer“states Mr. Matsumoto, General Manager, Graphics Division, Toray Industries Inc., Japan. Field testing of the products from the new plant is expected to begin in late 2013 and commercial sales to the local market will commence in January 2014. This latest major capital investment follows the 2003 development of a modern coating facility in Toray’s industrial complex in Okazaki, Japan, where both letterpress and waterless offset plates are currently produced. Toray Industries Inc., the leading manufacturer of waterless printing plates world wide, was founded in 1926 and has a global presence with factories and sales offices in Asia, Europe and North America. The main businesses of Toray are synthetic fibers, carbon fibers, plastics, films and chemicals. Many of the products are developed from its proprietary polymer technology base and are commonly used by the electronics, packaging, textile, automotive and aviation industries. Recent annual sales approached € 10 billion. Toray International Europe GmbH, Neu-Isenburg, Germany is the trading arm of Toray Industries Inc serving an independent network of distributors in the European market. Rotocontrol recently announced its fifteenth successful installation of the RSP Single Pass 100% Security Inspection Machine, benefiting Cosmetic and Pharmaceutical industries throughout Europe, United Kingdom, South America and Asia. Initially unveiled at the 2010 edition of Labelexpo Americas, the RSP is specifically designed for compliance with the most demanding security label inspection and finishing applications and can operate in 3 distinct levels of compliance conforming to the required level of security including Full Compliance, Controlled Compliance and High Speed Inspection. In Full Compliance mode, intended for applications where 100% compliant labels are guaranteed, a defective label must be corrected and re-inspected before the process can continue and cannot be overridden by an Operator. Controlled Compliance mode benefits finishing runs with premium value-add labels requiring the highest of quality but allows the operator discretion to re-inspect a corrected label or bypass the re-inspection system after manual inspection or correction has occurred. The High Speed Inspection mode for standard labels engages the 100% vision inspection system but does not utilize the re-inspection capability. "One of the RSP features that appeals to Converters is the extremely small footprint: it only requires 1.2 x 2.6 meters of floor space plus the moveable control panel, which is critical in constrained manufacturing space as companies continue to expand with additional pre and post-press high technology equipment" comments Michael Aengenvoort, Business Development Manager for Rotocontrol. Marco Aengenvoort, Managing Director of Rotocontrol comments: "I am pleased with the success to date of the RSP 100% Security Inspection Machine. 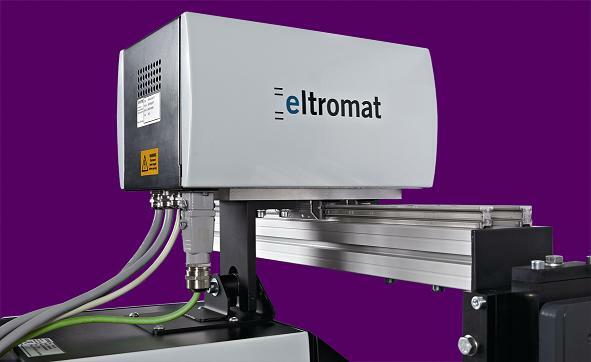 Performance and reliability feedback has been extremely positive, and the product continues to be a strategic focus for Rotocontrol in addition to the Digital and Booklet machines now available through our LeoMat brand." 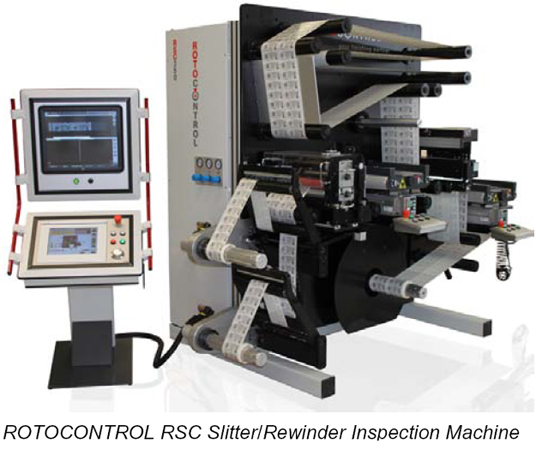 Rotocontrol designs and manufactures leading edge inspection, slitting, rewinding and die cutting finishing machines for the narrow web industry. Available globally, Rotocontrol offers machines from smaller basic rewinders to feature rich, sophisticated models with multiple options. All utilize S-Drive Servo Technology enabling maximum web control for the most delicate film and foil materials. With the recent acquisition of LeoMat, advanced products including booklet insertion and digital finishing are immediately available. Headquartered in Ahrensburg (Hamburg), Germany Rotocontrol maintains the highest level of product quality through ease of use, absolute control and flexibility. Rotocontrol is the partner of choice in the finishing of label products. Self-adhesive labels have contributed significant benefits to packaging; and their versatility, cleanliness, and variability have made them firm favourites in many key fmcg market sectors – on foods (both as primary and secondary product labels and for ‘priceweigh’ applications and other variable information print); on personal and homecare products; and, particularly, on beverages. The global growth in premium beers has proved a dynamic self-adhesive label market around the globe in recent years; and wines – both premium cuvées and bulk supermarket qualities – are toby ay enjoying the eyecatching on-shelf appeal that short- or long-run self-adhesive labels can create, both by the traditional print processes and by today’s high-quality digital label print. This flexibility has made ‘limited editions’ a practical possibility. ‘Fashion’ soft drinks, such as smoothies, juices, and CSDs (carbonated soft drinks) are also popular users of the self-adhesive label, which delivers a variety of innovative finishes and effects on a wide choice of label face materials – including textured papers, foils, and clear films (which give the favoured ‘no label look’ on a clear container). The unique self-adhesive laminate also makes it possible to diecut exceptionally complex label shapes on press – a designer’s dream – and to apply multiple labels (front, back, neckstrap, etc) in just one pass on the packaging line. Finally, track-and-trace, product authentication, and tamper-evident features can be an intrinsic part of a self-adhesive label. As a key contributor to the global packaging industry, the self-adhesive label industry is as committed to the cause of sustainability as all its peers. However, it faces some unique challenges in the context of sustainability – in relation to the industry’s extremely long, complex, and specialised value chain. At the heart of a self-adhesive label is the ‘sandwich’ of a face material, adhesive, release coating, and release liner. In itself, this is a combination of many different components, to which must be added the printing inks and other on-press processes that create the finished label, ready for automatic application to a product. No single level of the value chain can offer a full and detailed picture of the process of delivering a self-adhesive label; but, despite this complexity, the self-adhesive label industry must present a single, united profile if it is to be able to communicate with, and partner, the brand owners, the retailers, and ultimately the consumers in the environmental arena. It makes sense for an industry association such as Finat, which represents the whole label production value chain -- raw material suppliers, labelstock coaters and laminators, and label converters -- to take on that responsibility. For a number of years, Finat has been creating and updating industry-standard performance test methods, and – with an increasing number of sister organisations around the world – is currently engaged in advancing a detailed formal agenda for step-by-step actions to make our industry ‘greener’. We are also actively supporting a raft of initiatives in the recycling arena. This in itself may not sound like a major set of challenges – but, again, the value chain is complex, and there is a proliferation of environmental initiatives in the broad print/packaging manufacturing context, at many levels. There are the environmental management systems like ISO 14001, Lean Six Sigma, and the US-based Tag and Label Manufacturers Institute’s industry-specific ‘LIFE’ system (‘Label Initiative For the Environment’). Certification to environmental sourcing standards – like FSC and PEFC for papers – are other possible pathways. Brand owners’ and end users’ own environmental standards for their suppliers, like the Wal-Mart Supplier Sustainability Assessment, add further complexity. While the raw material suppliers and the major coater/laminators represent, in the main, manufacturers at a global scale, the self-adhesive label converters themselves are mostly small-to-medium-sized enterprises for whom such additional agendas are difficult to support. Nevertheless, Finat member companies across the value chain are, individually, actively delivering technology solutions to reduce waste all round and improve their carbon footprint; to be REACH-compliant, particularly in relation to adhesives and coatings; to explore new label and release liner substrates and adhesive technologies; and to use thinner materials all round without compromising performance. But there are limits to which individual companies operating in a competitive business environment can go in meeting the needs of the ‘three Ps’: people, planet, and profit. So, as I see it, there is a distinct rôle for an association such as FINAT in the label sustainability arena: to combine the aspirations of the many levels of the value chain into a single agenda, and to represent all its members (within the broader context of the global packaging industry) to the ultimate buyers of its products – the brand owners, retailers, and consumers. Unquestionably, the brand owners and retailers have established an outstanding sustainability platform, in the form of the Consumer Goods Forum’s Global Packaging Project. It is bringing together the world’s leading manufacturers and retailers, along with their packaging suppliers at every level and related industry associations, as a single group of people with a single agenda. This group has already defined what is now the accepted framework for informed debate on sustainability concerns throughout the supply chain: the Global Protocol on Packaging Sustainability. Through its common professional sustainability language that transcends the boundaries of commercial advantage, the GPPS is facilitating a meaningful dialogue between customers and suppliers on appropriate parameters to be used to measure environmental progress. Finat is an active supporter, representing the interests of both the thousands of label converters in Europe, and further afield, who provide finished labels for the end users, as well as its valued supplier company members. I personally believe that if any initiative will deliver a real blueprint for the optimal combination of environmental-friendliness and fit-for-purpose packaging, it will be this worldwide forum of suppliers and users. At a regional level, self-adhesive labels must meet the requirements of the EU Packaging Waste Directive, which is driving change in Europe through legislation and punitive levies for non-conformance. Here, in the self-adhesive label industry, waste management, recycling, and recyclability are priority issues in relation to one particular part of the self-adhesive label laminate – the release liner. 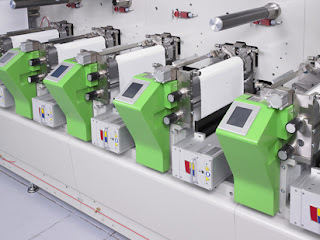 Release liner is the ‘hero’ of the self-adhesive label conversion and automatic application processes, delivering superb handling characteristics on the printing press and in label application. However, it is also a perceived problem for the recycling lobby since, once a self-adhesive label has been automatically applied to the product, the release liner that delivered it is effectively redundant, its purpose fulfilled. The latest revision to the Packaging Waste Directive in its final draft that was recently submitted to the Council of Ministers is consistent with Finat’s definition of used liner as process waste as opposed to packaging waste – but this is not the end of the story. In individual national legislation in a number of countries around Europe – including The Netherlands and the UK -- spent release liner has been defined as packaging waste at the end of its working life, and is therefore the subject of a financial levy. A final decision from the EU is expected this summer and, whichever way it goes, it will have a significant effect on the market’s perception of self-adhesive labelling. It is, however, Finat’s opinion that, without its empowering release liner, the self-adhesive label’s overarching package of benefits -- versatility, flexibility, accurate, clean, fast label dispensing (sometimes in multiples in the one machine pass) -- would not be achievable. Whatever the final outcome in European waste legislation, it is being proved in many arenas that release liner, both paper- and film-based, is recyclable, despite its release coating. Finat is driving and supporting practical initiatives to create viable waste collection and recycling schemes, which are becoming increasingly commercially active. I encourage brand owners and retailers, as well as their label converters, to join together and buy in to what could be a real game-changer for the self-adhesive label industry by participating in formal liner waste collection schemes. Paper release liner base remains the choice for the vast majority of label applications, and there is a developing choice of solutions for its recycling and re-use. Film-based release liners are, however, also gaining market share today; and collecting and recycling these relatively high-cost liners – and perhaps, in the process, creating an additional revenue stream -- is an option today. ‘Clean’ used PET liner is a highly-desirable commodity – and it is a priority to develop a supply chain structure to make collection and recycling simple, financially attractive, and effective for all concerned in the process. Liner waste, ultimately, is generated at the contract packer’s, brand owner’s, or retailer’s premises, and is therefore largely out of the hands of the label production chain. Finat’s prime task, therefore, within the Global Packaging Project and other packaging industry initiatives, is to make end users aware of how they can link with their label suppliers to deliver sustainability in terms of liner waste collection for recycling and reuse. As well as confronting, managing, and addressing major issues like this, Finat continues to provide a ‘green umbrella’ for its member companies in terms of ongoing educational support on good manufacturing and environmental health and safety practice. Some of the topics we currently embrace are ink migration and set-off, solvent usage, safe UV curing, and other pressroom issues -- with the interests of the users (particularly in the food and beverage arena) a central concern. Packaging buyers, brand managers, and designers are all increasingly aware of the need to sell products in an environment that is demanding less material and energy usage and an improved carbon footprint. Self-adhesive labels can help in this pursuit, contributing, additionally, unrivalled versatility and shelf appeal. They are rightly major participants in the broad global packaging industry agenda committed to developing truly sustainable solutions, in partnership with contract packers, the brand owners, and retailers. This is a genuine opportunity to achieve significant progress in managing our environment. The Atlantic Zeiser Group, a leading developer and supplier of modules and integrated end-to-end system solutions for industrial digital and security printing and packaging coding, will demonstrate the varied performance capabilities of its Digiline solution at Hispack 2012, Barcelona, May 15 to 18, hall 3 booth B271. An industrial digital printing solution, Digiline codes, serialises, personalises and prints products, made from different materials and formats, with variable data and information. At Hispack Atlantic Zeiser focuses the versatility of packaging and labeling applications with Digiline which integrates digital inkjet printer Omega 36i in combination with an environmentally friendly, air-cooled UV LED curing system Smartcure AIR for individual coding and serialising of folded cartons. As well as coding and serialising labels, the Digiline Sheet solution is ideal for print service providers specialising in flat packaging. Operations can also enhance their productivity and cost-efficiency considerably when printing variable data onto sheets or cartons using the Digiline Sheet. Delivering impressive printing results in terms of quality and production speed, the modular, fully integrated, standardised complete solution consists of a transport system for sheets and flat products, digital inkjet printers (Omega or Delta), formulated curing modules, controllers with ink supplies as well as a camera-based verification system with fully automated waste gate of possible printing errors that are detected and eliminated during the ongoing production process. The flexible, versatile, user-friendly and scalable system is ideally suited to customer and security requirements in sheetfed and flat product printing. The key focus is on the rapid and high quality printing of variable data and information such as barcodes, security features and numbering. The increased demand for just-in-time production, serialization, late-stage customisation and the overprinting of pre-printed products within the printing processes is due primarily to the necessary cost reductions in security printing. This is why optimised printing processes, short response times and minimised downtimes in production are in demand. The Digiline Sheet works with Omega and Delta inkjet printers, which can print using either environmentally friendly water-based inks or UV inks. The curing module is not required when using water-based inks. In a single sheet application, resolutions of up to 600 dpi and speeds of up to 120 m/min can be achieved at the highest quality level. A system controller with ink supply is integrated for the seamless control of the production and information flow without restricting which modules can be integrated. The camera-based verification system Vericam includes a mechanical waste gate that detects and immediately eliminates possible printing errors during the production process to guarantee a zero-error rate and 100-percent, consistent quality control. August Faller, in Waldkirch, Germany is one operation that has harnessed Atlantic Zeiser’s technology to maximum effect. It codes and prints pharmaceutical folding cartons with the Omega 72i DoD inkjet printer and eco-friendly UV LED curing system Smartcure 75/400 for folding carton production has been designed to meet the special demands of pharmaceutical folding carton printing, coding and quality verification with wastegate control for medicinal product packaging. Variable data is applied in plain writing, as a 1-D barcode as well as a 2-D data matrix code. 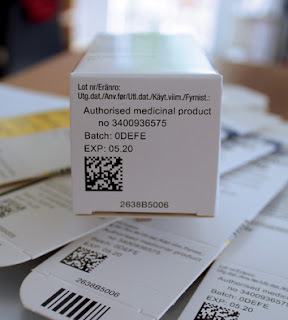 In this case the demands of pharmaceutical customers are special, in order to fully comply with country-specific marking standards for the purpose of product identification and product traceability. One particular project concerns printing and coding of medicinal product packaging for the Chinese market. For this, apart from Chinese writing, a defined barcode must be applied, which contains an authentication code for product tracing, a serial number and a product code, which follow the Chinese NDC (national Chinese medicine code). The Omega printer and camera-based quality control is fully integrated into Faller’s folding carton production line. 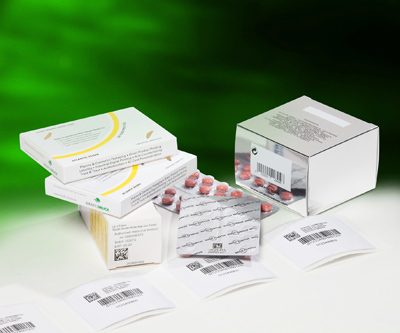 As a result of the possibilities of individual printing with variable data in divergent forms Faller’s pharmaceutical customers can also reduce their stock holding of pre-printed folding cartons as they can be coded and serialized during the packaging process at the various locations of medicinal product manufacture. I.T. Strategies, a Boston-based consultancy specializing in the digital printing industry, has released a white paper on the role of liquid toner and Xeikon’s current technology expansion into this area. The key conclusions of the white paper are that Xeikon’s ownership of the key patents for a High Viscosity liquid toner technology, has given the company a dramatic shortcut in both time-to-market and investment to develop a new liquid toner technology. With the promise of lower running costs and significant speed improvements, while maintaining the high quality level of its dry toner presses, the new technology will offer significant productivity gains to customers specializing in high volume print applications. At the same time, it provides the opportunity for Xeikon to extend its customer base to those printing specialty applications such as consumer photo books and other high-value documents. Starting with a brief history lesson on digital printing technologies, the white paper explains in simple terms the technology of electrophotography and outlines the difference between dry and liquid toners. While both toner technologies strive to create the smallest particles possible in order to optimize quality, liquid toner has greater latitude to control the particles. As such, liquid toners use less material which reduces raw materials costs, allow faster linear throughput speeds and use less heat (hence energy cost) to fuse to the substrate. Liquid toner has a long-established history, pre-dating the commercialization of drop-on-demand inkjet technology. When Xeikon acquired ownership of the key patents for the HVT and technology, it gained more than fifty years of liquid toner development giving the company a dramatic shortcut in both time-to-market and investment to develop a liquid-based toner. It is the view of I.T. Strategies that Xeikon benefitted from decades of significant prior investment and learning curve for a fraction of the cost. With its R&D teams of both printer hardware and toner under one roof, I.T. Strategies anticipates that Xeikon can compress the amount of time necessary to commercialize its new liquid toner technology. I.T. Strategies foresees that the new liquid toner technology will be even more productive than dry toner technology, while maintaining the same high printing quality. While initial throughput is projected to be 60 m/min (196 ft/min), in theory upper limits of 300 m/min (1,000 ft/min) are possible. This ability to produce higher volumes digitally at lower cost will deliver significant productivity gains to printers and extend the breakeven point for digital printing. At the same time, it provides the opportunity for Xeikon to extend its customer base to those printing high value, high area coverage type documents. While Xeikon has yet to prove it will successfully commercialize its investment, I.T. Strategies believes the odds are in their favor and they predict that the first commercial product will be available within the next two years. Jim Hutchison, President of Infinity Foils, Inc- UEI Group Company, released that Nakai has appointed Infinity Foils as its exclusive North American distributor. The appointment became effective immediately, according to Naoyuki Shigeta, Senior Executive Vice President of Nakai International Corp. Commenting on the appointment, Hutchison said, “Infinity Foils is pleased to be able to provide the Nakai foil products to the foil stamping and embossing customers throughout North America. Nakai has built an excellent reputation for high-quality foil products and their products will fit perfectly within the Infinity Foils’ line of premier foils”. Infinity Foils will distribute the Nakai foil products under the Infinity Foils brand of products. Through Infinity Foils, Nakai foil grades and shade range will continue to be available to the North American customers that have come to rely upon them for their applications. The announcement comes off the heels of Nakai International’s early 2012 announcement that they were closing their North American facility. 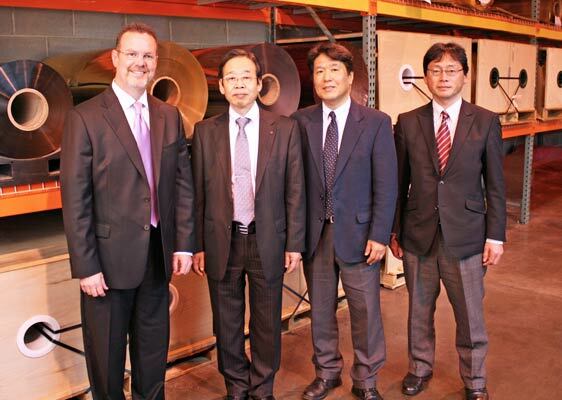 Nakai foil products will continue to be manufactured in Japan, to the same quality level and integrity. “We believe that the customers who have long enjoyed the Nakai family of foil products will be extremely satisfied with the new distribution arrangement” added Hutchison. Infinity will now offer the foil stamping and embossing industry one of the largest ranges of foil shades and releases, while still holding true to Infinity’s core principals of in-stock products, available 24/7, without minimums. Infinity Foils, Inc. is a worldwide supplier of quality stamping foils, decorative glitter and makeready supplies. As a member company of the UEI Group, Infinity has access to leading technology and state-of-the-art processes so their product offerings always include the most advanced for the industries they serve. The Brausse 1050 series is recognized as the leading machine solution in its product segment. The operational accuracy of the 1050 starts with a non-stop feeder and register system that delivers excellent registration even on the most difficult of products. The controls of the 1050 are designed with the operator in mind; an LCD screen display provides real-time operating information for each section of the machine and an integrated microprocessor for system monitoring and self-diagnosis. The system can be enhanced with the optional triple action stripping station with gripper edge removal for even greater productivity. Flexo Concepts introduced its exclusive QuikWash wash -up system at Drupa in Düsseldorf from May 3-16 in Hall 11, Stand C34. This innovative technology cuts wash-up times and solvent consumption in half by using an exclusive plastic wash-up blade to dramatically improve wash-up effectiveness. The company will also feature a line of traditional plastic wash-up blades in addition to its TruPoint line of plastic and composite doctor blades and MicroClean dry media anilox cleaning systems. New to the market, the QuikWash System makes it possible for printers to retrofit their presses to leverage the benefits of a plastic wash-up blade. The system consists of a wash-up blade clamp that attaches to the existing wash-up tray and uses the company’s exclusive TruPoint DeltaFlex plastic wash-up blade. DeltaFlex is constructed from a durable, rigid material that enables it to achieve and maintain a fine contact point with the roller. It is this fine contact point that results in more efficient wiping and wash-ups that can be completed in half the time. DeltaFlex blades are also extremely resistant to chemical breakdown, making them ideal for washing up UV ink and for use with harsh solvents. The blades possess a low coefficient of friction so they wear evenly and last longer than rubber-tip blades without producing tack. The clamp design eliminates the need for holes and slots so blade costs are reduced and blade changes are quick and easy. Customers have reported a substantial improvement in wash-up quality and a reduction in wash-up times after retrofitting their presses with this product. Staff will be on hand in the booth to answer questions about the QuikWash System and demonstrate a side-by-side comparison of the new and traditional wash-up blade systems. The company will also have on display a variety of traditional plastic wash-up blades. In addition to wash-up products, Flexo Concepts will present its full line of TruPoint plastic and composite doctor blades and MicroClean anilox cleaning equipment for flexographic and offset coating applications. TruPoint blades are popular as a substitute for steel blades in a wide variety of applications due to their long blade life and performance characteristics. They have been shown to outlast steel up to four times and perform better when it comes to graphic reproduction and in high speed, high temperature and high abrasion applications. The MicroClean dry media anilox cleaning system uses specially designed plastic media pellets to remove inks and coatings from anilox cells. By restoring original volume, MicroClean ensures that rolls deliver predictable ink densities and coating weights. The technology is used to clean anilox rolls, sleeves, rotogravure cylinders and coating rolls and is environmentally safe. To learn more about these products, stop by the company’s booth in Hall 11, Stand C34 or visit www.flexoconcepts.com. Toray Plastics (America), Inc., the only United States manufacturer of precision-performance polyester, polypropylene, and bio-based films, is pleased to announce that the U.S. Food and Drug Administration’s Center for Food Safety and Applied Nutrition has granted the company Interstate Milk Shippers (IMS) certification for single-service products. The IMS certification signals to milk and dairy products manufacturers that Toray’s packaging-manufacturing processes and packaging materials are recognized as safe for use with dairy applications that are shipped interstate. Toray is expanding in the dairy market with new packaging and lidding technologies, and customers interested in the new products are assured that Toray is compliant with FDA-mandated interstate shipping regulations. Toray Plastics (America), Inc., is a leading manufacturer of polyester, polypropylene, and bio-based films for flexible and rigid packaging, lidding, graphic, industrial, optical, and electronic applications. The company is a subsidiary of Toray Industries, Inc., the world leader in synthetic fibers and textiles, carbon fibers, plastics, chemicals, pharmaceuticals, and high-performance films, which has annual sales exceeding US$20 billion. At drupa 2012, Heidelberger Druckmaschinen AG (Heidelberg) is launching the third Heidelberg ECO Printing Award, the only international environmental award for sustainable printing in the sheetfed offset sector. This environmental award focuses on the sustainable use of resources and energy, climate protection, and environmentally aware management practices. These aspects of sustainability can relate to a company as a whole, or to exceptional stand-alone solutions in prepress, press, postpress, logistics, and corporate culture. Winners should set a benchmark for the entire industry and encourage others to adopt sustainable business practices and solutions. As in previous years, the Heidelberg ECO Printing Award is open to any print shop that operates at least one sheetfed offset press. The number of presses is unimportant, as is the volume of production, the vertical range of manufacture, and the size of the business. Entries will be accepted from print shops from anywhere in the world that use any kind of substrate - paper, card, or foil. An independent, international panel of judges including representatives of the printing industry, environmental scientists, and members of environmental associations will examine the entries and select the winners in the two categories. 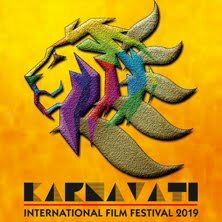 Companies wishing to compete for the award must submit a written application. Further details are available online under "HEI ECO" at www.heidelberg.com/eco-award. 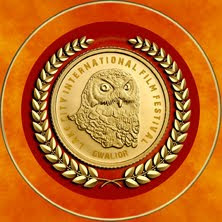 Entries can be submitted from May 8 to November 30, 2012. The Heidelberg ECO Printing Award will be presented in June 2013. "Environmental protection, like sustainability, is a global issue that has become a megatrend in the print media industry, too," says Stephan Plenz, member of the Management Board responsible for Heidelberg Equipment. "The Heidelberg ECO Printing Award is designed to motivate print shops worldwide to redouble their commitment to environmental protection and to offer them an international platform for sharing ideas and learning from each other." At drupa 2012, Heidelberg is showcasing its new solutions for eco-friendly printing as a response to the HEI ECO market trend and is systematically expanding its range. For example, virtually every sheetfed offset printing press at the trade show booth in Hall 1 is equipped with an energy meter that measures energy consumption in line with the standardized guidelines published in VDMA standard sheet No. 8873. It measures the energy requirements per 1,000 sheets, thus making it easier for customers to save electricity. Just as fuel consumption per 100 km is measured on a car speedometer, printers can now check energy efficiency at a glance on the wallscreen of the Prinect Press Center or on a separate PC. Printers can use these measurements to analyze energy consumption quickly and easily and take appropriate steps to cut electricity usage. Other innovations that help cut the power consumption of printing presses include the energy-saving DryStar LE UV dryer and the heat recovery system of the DryStar Combination dryers. Heidelberg has been supplying all its Speedmaster Anicolor presses on a carbon-neutral basis as standard since April 2012. Like the award, this commitment is unique in the industry. All other machines are available with carbon offsetting on request and then bear the "CO2-neutral" label. For this purpose, the carbon footprint of manufacturing the presses is calculated precisely. The calculations take into account all relevant parameters - from the extraction of raw materials and the production of materials to the manufacture and testing of the press and its transportation to the print shop. Heidelberg has chosen to use the certificates to support natureOffice's environmentally and socio-politically valuable reforestation project in Togo. The entire drupa presentation is staged on a carbon-neutral and sustainable basis. Attention was focused on environmentally friendly processes, recyclable materials, and reusable modules as early as the planning and tendering phase and this was reflected in aspects such as the tendering documentation. The CO2 emissions for all processes and materials related to the trade show and the trade show stand are being offset. These range from project management, logistics operations - including assembly and dismantling - and the operation of machinery at the show, to travel to and from the event, and accommodation for booth personnel. Additional parameters involved in the CO2 calculations for the booth include the production of the entire machine park, consumables such as paper and inks, and the power supplies for the technology used at the show.